I am in the process of book loading. This is a spin on carbo loading, however my way of thinking. I am loading up on books so I can travel into the FRENCH dominated part of North Africa where no normal person wants to go. 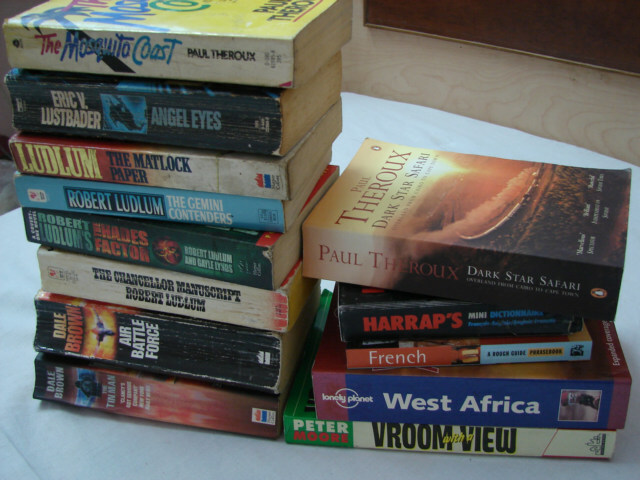 Hard to purchase English books in many parts of Africa, thus I am in need of English books to read.